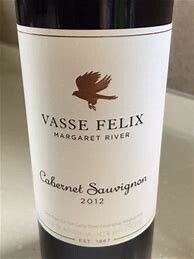 There's plenty of excitement about Margaret River Cabernet Sauvignon, and Vasse Felix winemaker Virginia Wilcock counts herself among the most passionate for the category. Describing the elegance and finesse the best of these wines are known for, Wilcock explains, "I'm not a tutti-frutti winemaker." Rather, her focus is on savory and structured Cabernets. All are estate-grown in Vasse Felix's four vineyards. For the Filius, a blend of 86 percent Cabernet Sauvignon with 14 percent Malbec, Wilcock employed spontaneous fermentation with plenty of whole berries, a cold soak and gentle pump-overs, leaving the wine on the skins for an extended time to stabilize the tannins. 800 cases imported.